Alpine Start Hoody - Mens is rated 5.0 out of 5 by 1. Rated 5 out of 5 by jermeis from Really great jacket! I bought this jacket a month or so ago. Super lightweight. 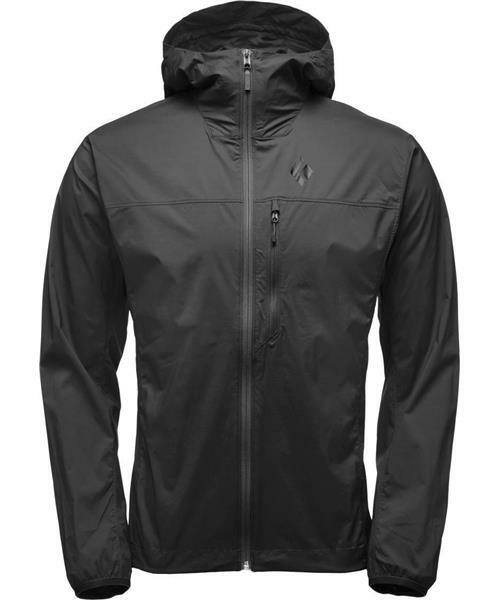 I was looking for a jacket that would be good for both trail running and fly fishing on the river ... a lot to ask for from one jacket especially because those activities are fairly different from one another. I've used it lots for running - feels great. Keeps me pretty warm in the cool mornings, can layer up underneath, also nice that it's breathable and waterproof. Also took it out to the river fly fishing a few times - same feeling - great jacket. Good to layer up underneath. Packs in super tight in any bag. Kept me warm and dry and kept the wind and rain out of my face. Great jacket.